Amazing news this morning! I can’t even believe it. How this is even legal, I don’t know. 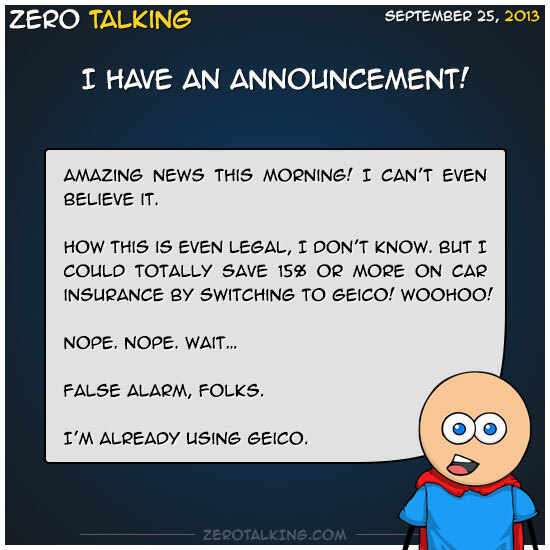 But I could totally save 15% or more on car insurance by switching to Geico! Woohoo!